I bet that the driver of this car is female and was pretty excited when Daddy presented her with the car. 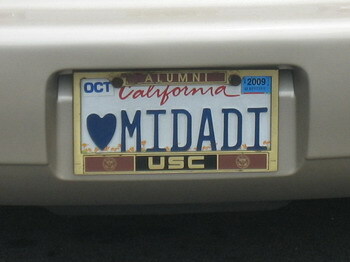 Somehow I do not see males declaring their affection for the sponsor of the vehicle they drive on their license plates. Maybe it’s her sugar daddy. Actually I had the same thought for a moment. But then again, the car was not flashy enough for that.